Can Russia’s Magrav Technology Thwart The Upcoming Stealth Attacks By The American-Arab-ISIS Coalition? If the Ukraine War taught the world one thing, it was that the Western coalition (also known as the Anglo-American Axis*) which instigated the civil war could not be trusted to negotiate in good faith. Every ceasefire agreement and prospective peace treaty, such as the Minsk Protocol, was only negotiated by the Ukraine as a means of regrouping so that they could advance militarily in a more stealthy way. S T E A L T H.
Now, shifting our gaze over to Syria, the same Western powers have been using the corrupt governments of Turkey, Saudi Arabia, and Israel to wage a devastating war against Syria. Because the American-sponsored ISIS has been decisively beaten back by the relentless Russian aerial bombardment campaign, the so-called “Arab Coalition Against Terrorism” organized by Saudi Arabia has mobilized a Plan B to remove the Assad government. Their intention to impose a Greater Israel will simply not be thwarted, as it is the culmination of a centuries-old scheme. The current realities on the ground, as described in the exposé below present the greatest challenges to the Russian-Iran-Syria alliance. A close look at Syria shows that it is completely surrounded by enemy forces. This Arab coalition forces are composed predominantly of Saudi, Turkish, ISIS, al-Nusra, al-Qaeda, and various Syrian opposition forces. The following list represents most of those opposition forces. While this list is fairly exhaustive, it does not indicate the massive joint intelligence operation which supports their unlawful and aggressive war to conquer Syria. Those intelligence agencies working full time to support this unprovoked conflict are first and foremost the CIA, MI6, MOSSAD, France’s DGSE and Saudi Arabia’s GID. Additionally, Saudi war financing is currently recruiting jihadists and mercenaries from the entire Sunni world. Mercenary and jihadi fighters are swarming into the countries surrounding Syria, especially Turkey, Saudi Arabia, Jordan, Iraq and Israel, with the intention of participating in their version of Armageddon. This is exactly where the Mideast is heading at this very moment. Shia and Sunni have been quite purposefully pitted against each other to fight to the death. The Anglo-American sponsors of the Sunni tribes and sects have been stoking the religious fires for as long as oil has been pumped from the sands of the Middle East. Now it is coming to a head, once and for all, as to who will finally control the whole Mideast enterprise going into the End-times. Russia, China, India and the other BRICS-allied nations are squared off against the Anglo-American Axis (AAA). Russia, having legitimately taken the military lead, is now in an extremely difficult position. The Kremlin has even made overtures about nuclear weapon deployment in order to deter an overwhelming Saudi or Turkish ground offensive. The AAA is extremely enraged and vengeful in regard to the Syrian military offensive launched with the indispensable help of Russia’s military with full approval of the Assad government. The whole Zionist initiative known as the Greater Israel Project has been subsequently thrown into complete disarray. The AAA leadership knows that Russian military prowess cannot be competently challenged on the current chessboard. Therefore, the Arab Coalition is working 24/7 to change the whole dynamic on the ground. Eventually they will succeed through the implementation of numerous covert false flag operations and clandestine troop movement schemes which are being executed a this very moment. The situation is getting very tense, in spite of the recent ceasefire agreement. It is really only the calm before the storm. 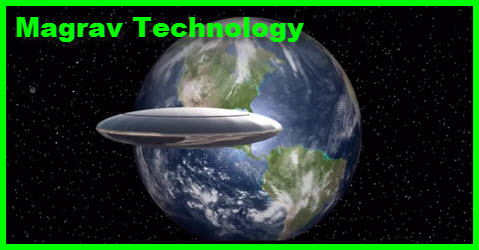 Russia possesses advanced Magrav Technology which far exceeds any comparable technologies that can be practically employed by the Anglo-American Axis. The Western powers know this as they recently experienced a powerful display of Russia’s advanced capabilities. What frightened the USS Donald Cook back to port in the Baltic Sea? As a matter of fact, Russia is very far ahead of their Western counterparts where it concerns applied weapons technology, and especially their capacity to completely neutralize American and British conventional weaponry. Any weaponry provided by the USA to the Saudis and Israelis over the years is already obsolete as far as Russia’s sophisticated weaponry is concerned. Which begs the question, exactly how will the Western military powers — the U.S., U.K. and France — who are the principal players in the Levant, overcome their vast and profound deficits on the weapon technology front? It would seem that, before they trigger a full-blown Armageddon in Syria, they ought to read how Magrav Technology Levels The Global Playing Field. Certainly this tried and tested (on them) technology ought to give them good reason to pause … … … and seriously reconsider their intention to start World War III. What the AAA nations refuse to acknowledge is that Russia has never let up in their drive to develop next generation offensive weapon systems, as well as state-of-the-art defensive technologies, which greatly exceed anything in the AAA arsenals. Russia has surreptitiously and strategically located these new weapon systems throughout the northern Levant since the very first day of their war campaign against ISIS and their Western partners. The military battlefield and geopolitical chessboard in Syria and Iraq is changing by the day. The irrational rush to war by the Western powers and their coalition proxies will not be stopped. The NWO cabal that is manipulating events from behind the scenes will not be deterred from their World War III, particularly in view of their hapless and hopeless economic/financial state of affairs. They know that, just like World Wars I and II, a third world war is their only way out of their untenable predicament. Hence, the planetary civilization is quite likely to witness a series of events in the Levant that will likely change the course of humanity. That the Russian Federation was on the winning side of two previous wars is quite significant. Putin’s Russia undoubtedly aims to be on the right side of history in 2016. So do their BRICS partners, especially China and India, Brazil and South Africa, Iran and Syria. The following article has been posted in its entirety for very good reason. It outlines the perfidious actions being taken by the primary AAA Western powers, the newly formed Arab Coalition and their close ISIS partners throughout the ISIL caliphate. The whole Islamic State enterprise was cooked up in the Western capitals of London, Washington and Paris, as well as in Tel Aviv, Riyadh and Ankara. In order to comprehend the level of deception being perpetrated by the Zio-Anglo-American-Arab-ISIS Coalition in the Levant, the following article ought to be read. It reveals the details of an ongoing conspiracy to flood the whole region with mercenaries and jihadists fighting alongside each other to overthrow the legitimate Syrian government. Rarely is the world given a glimpse into how these manufactured wars are really carried out. The rapid and broad dissemination of this privileged information is vital to subverting this carefully hidden agenda. 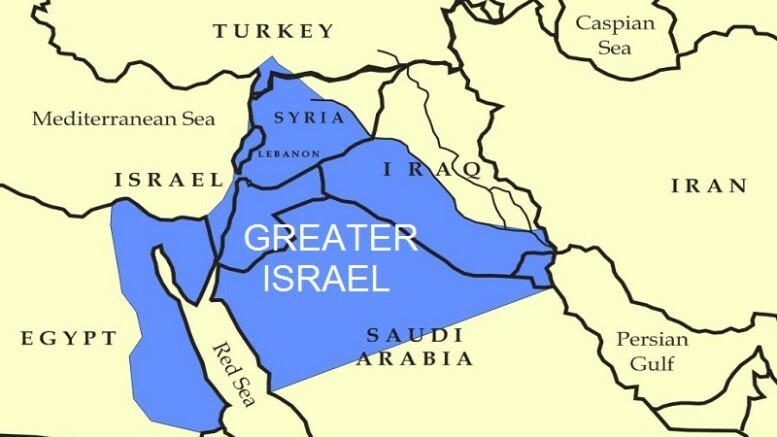 Only through a highly coordinated conspiracy could these deceitful nations ever expand the Greater Israel Project. What is really going on in Syria? Is the ceasefire a Coalition deception to attack Damascus? All we know is that something is very fishy with this hastily agreed ceasefire. The U.S., U.K., Israel, Turkey and Saudi Arabia CANNOT be trusted — EVER — where it concerns the Mideast! Hence, the following scenario seems quite plausible and ready to jump off in real time. If it does, this situation will go from bad to worse to worst in flash … literally! The degree of outright duplicity and deceit on the part of the American Coalition has been unrivalled in modern war history. They ONLY care about grabbing all of Syria anyway they can. Very few realize that the Anglo-American Axis is using the very same game plan that they used to start World War I, particularly with regard to the Armenian Holocaust of 1915. The people of Syria (and Iraq) are now experiencing a Syrian Holocaust. Realizing a massive invasion of Syria would provoke a Tactical Nuclear response by Russia, the Saudis and Turks have changed strategy: neutralize Russia first, then take Damascus in one fell swoop, with troops sent covertly as tourists inside nearby countries! In a staggering and cunning change, Saudi Arabia and its “Arab Coalition against Terrorism” as well as Turkey have changed plans from an initial, massive invasion from Saudi Arabia, through Jordan to Syria. Once that plan for a massive invasion became obvious, and the tactical nuclear response to such an invasion became inevitable, the Saudis and Turks had to switch gears and form a new plan. They have now commenced that new plan – an order of magnitude more cunning and perhaps even MORE outrageous – to neutralize Russia (inside Syria) first, then take Syria by directly attacking Damascus. Hints that something was afoot came this morning when Saudi Arabia (SA) publicly warned its citizens not to travel to Lebanon and told any Saudis inside Lebanon to leave immediately. About two hours later, the United Arab Emirates (UAE) told its citizens the exact same thing. SuperStation95 made a quick inquiry to our sources in the Pentagon and they confirm that days ago, Turkey, SA and other Arab Coalition countries ordered re-deployment of submarines, into the eastern Mediterranean Sea, some told to take up station west of Latakia, Syria and others told to take up station southwest of Tartus, Syria. Both those places are the location of Russian bases and troops inside Syria. It is widely believed the submarines are targeting Russian ships which are equipped with the advanced S-300 or S-400 anti-missile system. Upon receiving an attack order, those submarines will fire torpedoes at the Russian vessels patrolling the Mediterranean near Syria AND FIRE AT SHIPS DOCKED IN TARTUS AND LATAKIA, with the intent of disabling (not sinking) them, to neutralize the anti-aircraft capabilities of those ships. Once the ships on patrol and those in port are disabled, there will be a gaping hole in the air defenses protecting Syria. At that time, warplanes from Incirlick Air Base in Turkey will commence attacks into Syria, through that air defense gap, and attack Damascus directly. In preparation for this new plan, for over a week, Thousands of troops from the “Arab Coalition against Terrorism” have been quietly traveling in small groups, as “Tourists” into LEBANON, as well as to Amman, Jordan. It is now also known that the Israeli government has been quietly working with Jordan and Saudi Arabia to prepare for a large force of Arab troops to USE THE GOLAN HEIGHTS to travel north into Syria, to attack Damascus and topple its President Assad. Cargo ships carrying container loads of weapons and supplies, have been traveling up the Suez Canal, docking in Lebanon, and unloading containers of weapons and ammunition to warehouses outside Beirut. The covert troops are then called to come to the various warehouses to pick up the weapons they will use. 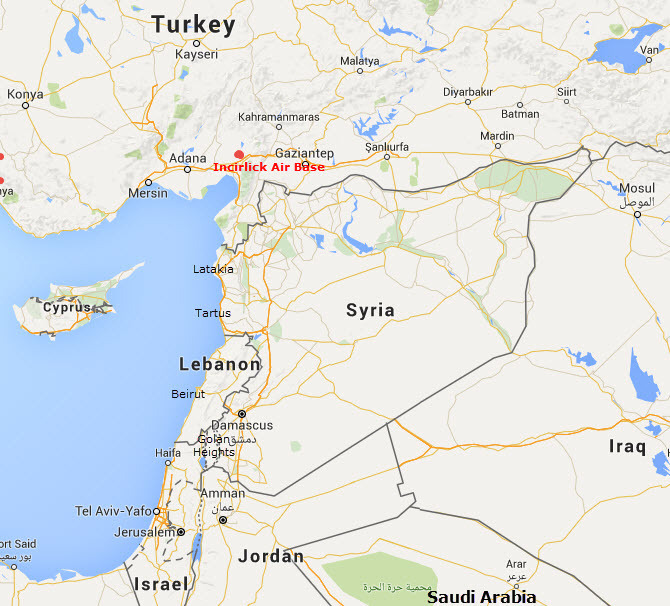 It is only about 60 miles from Beirut, Lebanon, to Damascus, Syria. 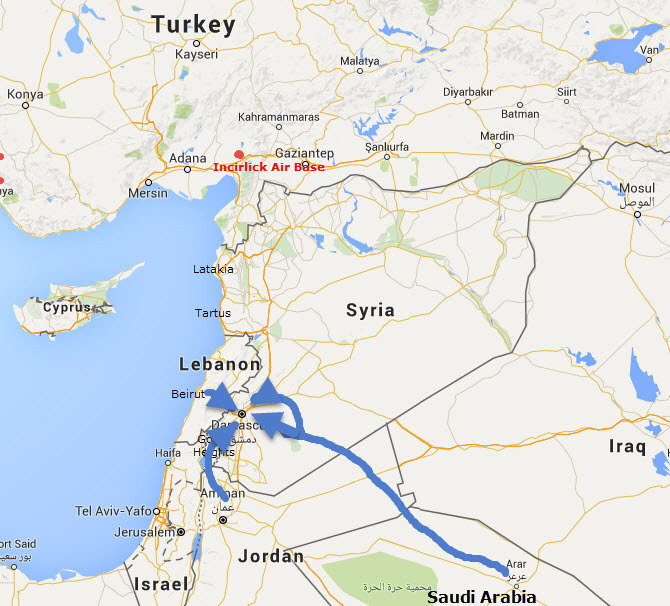 It is about 80 miles from the Golan Heights to Damascus. According to our sources, there are already over thirty thousand troops covertly inside Lebanon and the number is growing by the hour. In addition, we are told there are over fifty-thousand troops inside Jordan, filling hotels and apartments throughout the Amman area. Before the attacks commence, Turkey will move troops across the Syrian Border near Azaz to commence the fighting and draw attention to this area; an area where a Turkish invasion has been expected for weeks. As this fighting gets severe, troops in Lebanon, Jordan and Saudi Arabia will be quietly on the move, north, into Jordan. Due to the significant land distance involved, each segment of troops will be required to begin moving at different times. This will be the only alert/advance warning the Syrians and Russians will have that the attack is on. 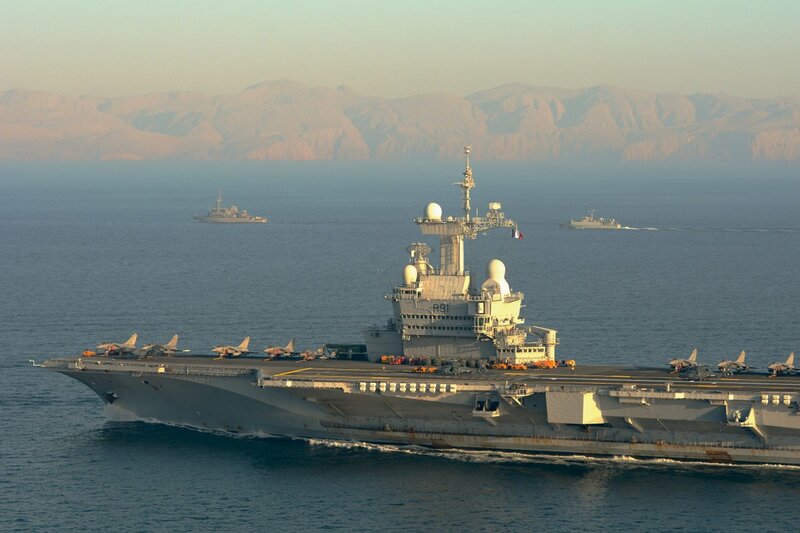 Within the last 24 hours, France – who opposes Russia’s participation in Syria — suddenly ordered its only aircraft Carrier, the Charles DeGaulle and its Battle Group, to proceed “forthwith”from the Persian Gulf to the eastern Mediterranean. 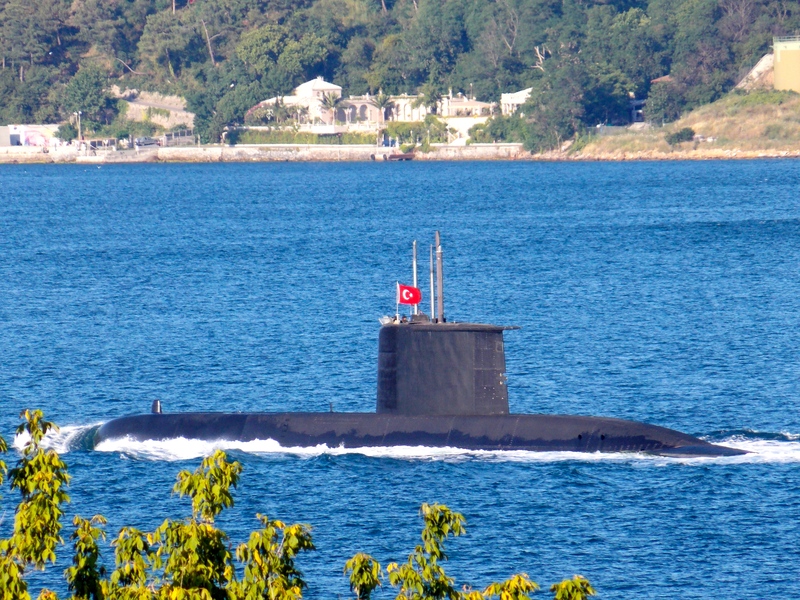 Right where the Turkish subs were sent to decapitate the Russian fleet. This will put French Naval Power right in the fighting, and French Air Power close enough to Latakia and Tartus to make sure the Russian s-300 and s-400 systems are knocked out, allowing the Turks coming from Incirlick air base to get through to Damascus. It is now clear that the “cease fire” being negotiated by the US with Russia/Syria, was designed merely to be a delaying tactic, to allow for the re-positioning of SA/UAE and Turk forces! The cease fire has been a ruse, a deception, to allow the aggressors time to reposition and redeploy in a way that prevents Russia from using Tactical nukes AND overwhelms Russian defenses, allowing a swift decapitation strike against Damascus. Unless the Russians, who have been acting in good faith and ardently seeking solutions to the Syria issue, prepare (and prepare fast) they will be totally overwhelmed in a manner against which they cannot use nukes. Russia will lose Syria and be humiliated on the world stage for all to see. Engage in massive full-scale war to save a country (Syria) that has already been conquered. 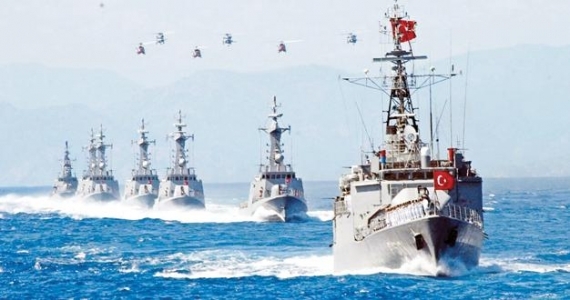 Unless Russia is prepared to react by sinking the Turkish subs at the first torpedo, or makes other arrangements to protect their s-300 or s-400 anti-aircraft missile systems to prevent a gaping hole, or perhaps to cross into Turkey from Georgia and Armenia, so as to derail the Turks, all will be lost. UPDATE 4:25 PM Eastern US Time — Bahrain has just announced its citizens should not travel to Lebanon and any who are already there should leave. They now join Saudi Arabia and United Arab Emirates who issued same warnings earlier today . . . . Previous articleWhat is really going on in Syria? Is the ceasefire a Coalition deception to attack Damascus?